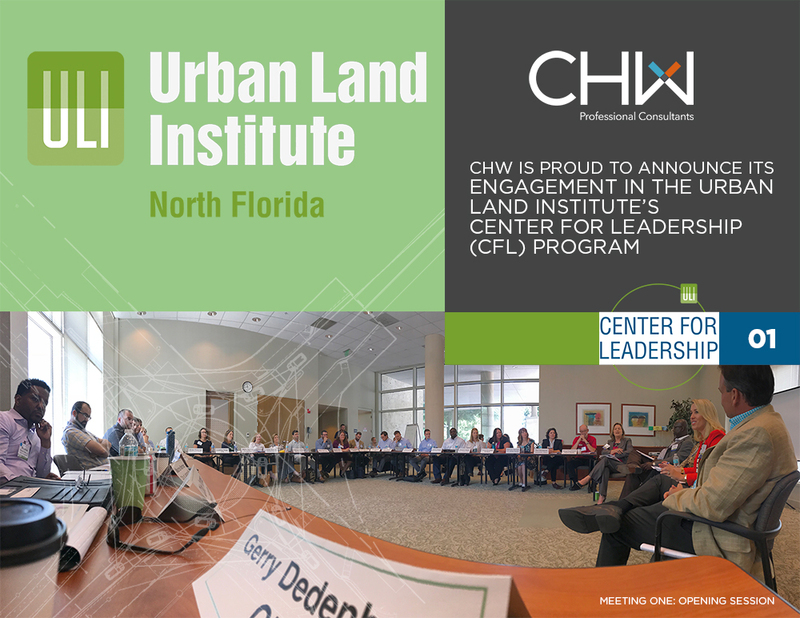 CHW is proud to announce its engagement in the Urban Land Institute’s inaugural Center For Leadership (CFL) program, with Gerry Dedenbach Vice President participating along with peer professionals from across North Florida. The ULI’s CFL represents a unique opportunity to enhance our relationship with our industry’s leading professionals from both the public and private sectors. During the nine-month CFL program, the group will conduct a Mini Technical Assistance Program focused on Bradford County and its continued growth and economic expansion. CHW is proud to participate in the ULI’s CFL program. Our staff looks forward to the tremendous opportunity to contribute to strategic growth, civic engagement, and promoting collaboration that enhances the quality of life throughout north Florida for all. For more information visit the ULI Center for Leadership page.